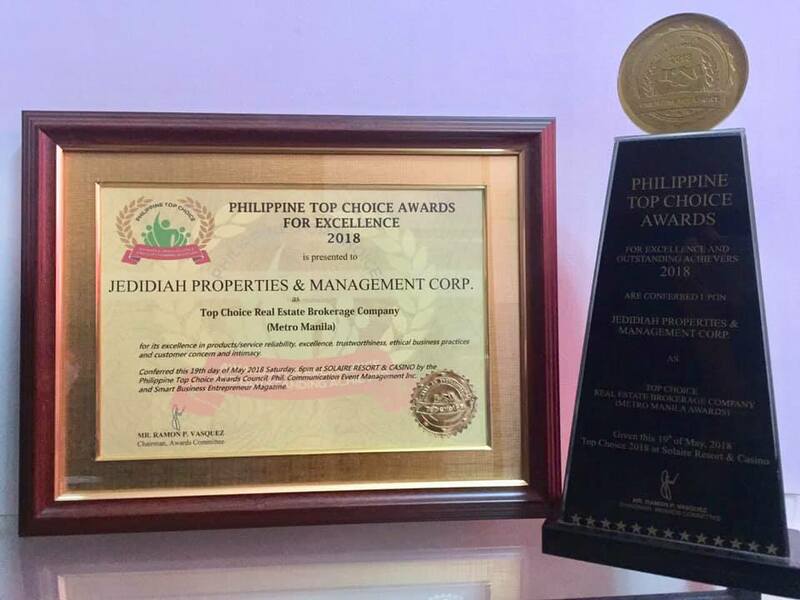 ​Jedidiah Properties & Management Corporation provides you with honest, accurate information and comprehensive property listings to help you make a smart choice whether you are buying a house or condominium to dwell in or for investment, rental/lease purposes. We are a real estate brokerage company with duly licensed Real Estate Broker and accredited by reputable and trusted Philippine Real Estate Developers. We sell properties located in Metro Manila's important and strategic places, Central Business Districts (Makati, Ortigas and Bonifacio Global City), as well as the booming cities like Sta Rosa, Laguna in the South and Angeles City-San Fernando, Pampanga in the North and the soon to rise Clark Green City. Aside from property sales, we also offer other real estate services such as Residential Leases, Vacation Rentals and Property Management. If you decide to rent out your property and earn extra income, you may enroll your unit to our Property Management & Rentals Division (www.jedidiahrentals.com). Feel free to contact us or fill-up the Inquiry Form, we will be more than happy to assist you in your investment needs.